Join the girls at Lakeside Unicorn Academy - when your best friend is a unicorn, magical adventures are guaranteed! Imagine a school where you meet your own unicorn and learn to talk to them! That's what happens for the girls at Lakeside Unicorn Academy on the beautiful island of Ellinor. The girls have an important job to do - they must discover their unicorn's special magic before the annual Starlight Parade. What's more, it looks like some mysterious people want to harm the island and its magic. This year at the Lakeside Unicorn Academy is certainly going to be a big adventure! 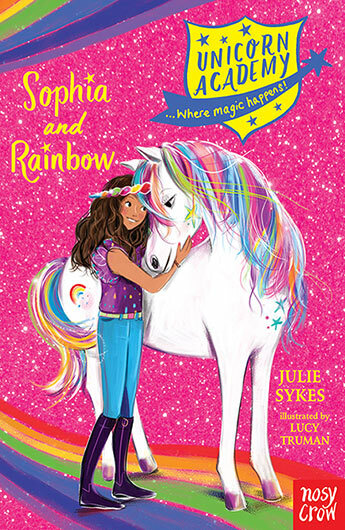 Sophia is thrilled to be at unicorn school on Ellinor Island and can't wait to meet Rainbow, her gorgeous unicorn. She just knows they'll get on brilliantly! And soon, after witnessing a sinister event at the magical lake, they're away on their first amazing adventure!